Sandwiches are one of the universal foods, they’re cheap and convenient. 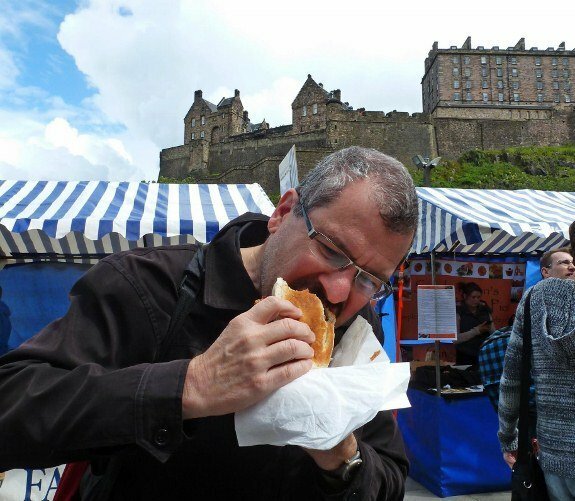 We ate way too many of them on our trip and offer up the 11 best sandwiches in the world. A shawarma is a Middle Eastern sandwich made from meats (often lamb or chicken) that are cooked while rotating on a vertical spit. 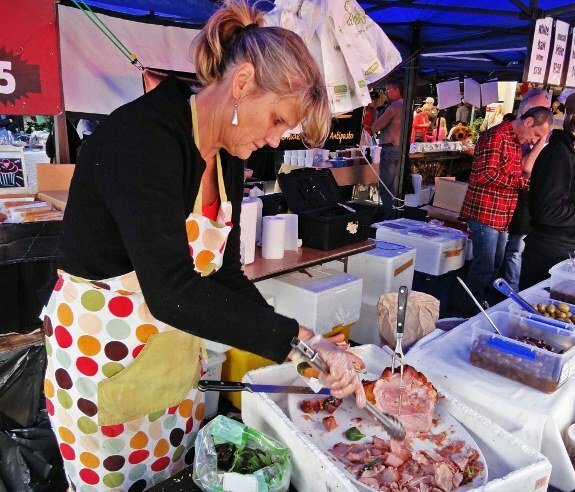 While it may look like a human leg spinning around, the spiced meat is delicious. It is shaved off and placed in a pita bread with a choice of toppings; usually hummus, tahini, tabbouleh, cucumbers and pickled vegetables. The flavors meld together into an incredibly tasty combination. 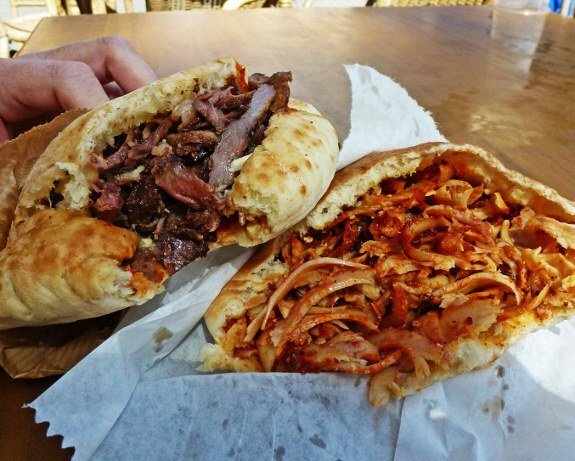 The shawarmas pictured above come from side by side stands in Jerusalem. 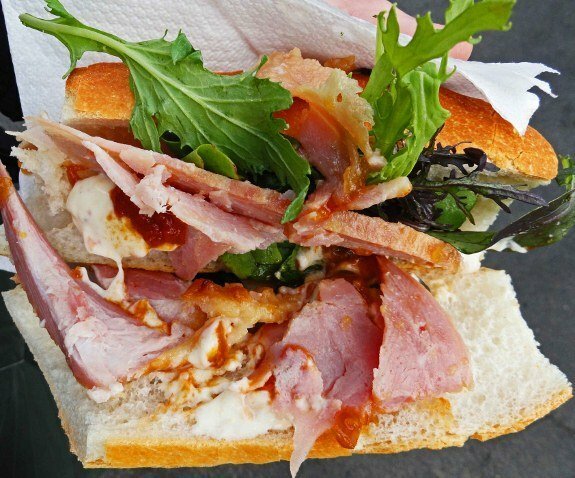 At the Saturday-only French Market in Auckland, you can try one of the great Kiwi bargains; $4.25 USD gets you a freshly carved ham sandwich on a crispy French baguette with lettuce and dressing. PJ’s BAR-B-QSA is one of our favorite barbecue joints. It’s a road trip of American barbecue offering regional specialties from all over the country. 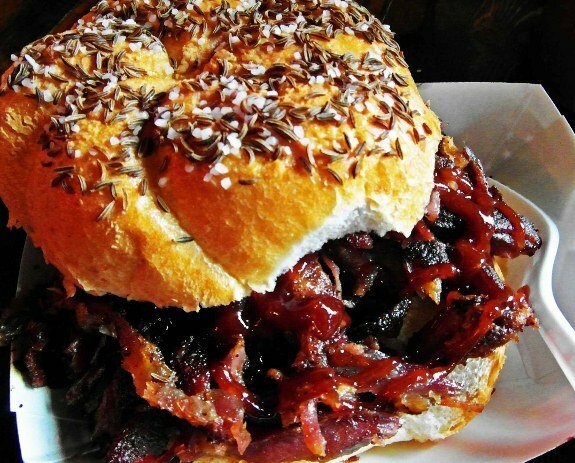 The rib sandwich is served on a weck roll, a western upstate New York specialty that is topped with kosher salt and caraway seeds. 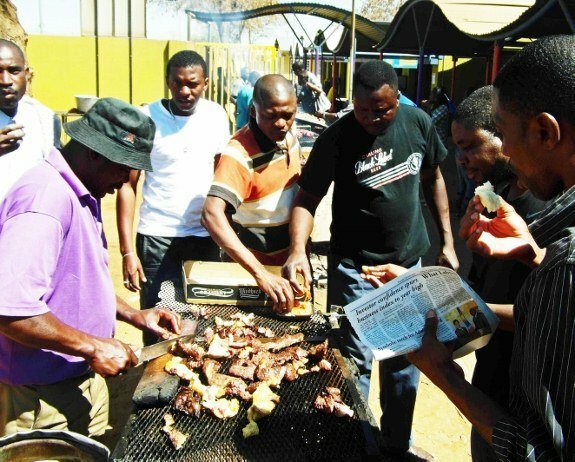 Part of the fun of kapana, the popular street food of Namibia, is how it’s eaten. You tell the vendor how much you want to spend and he pushes that amount over on the grill with his knife. You then grab it with your fingers and dip it into a communal box full of salt and spices. Tasty yes but not a sandwich. To make it a sandwich do what we did. Walk over to one the vendors selling fresh Portugeuse rolls, split it open and stuff the bread with the kapana. Now that’s a sandwich. It might have been donkey meat, we’re still not quite sure, but it sure tasted good. 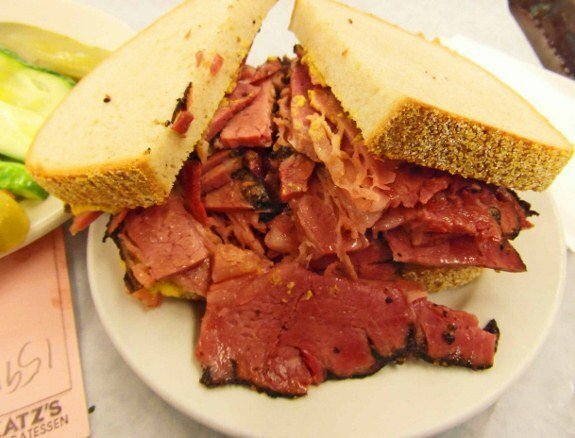 We both grew up in New York where the love of pastrami was drilled into us at an early age. 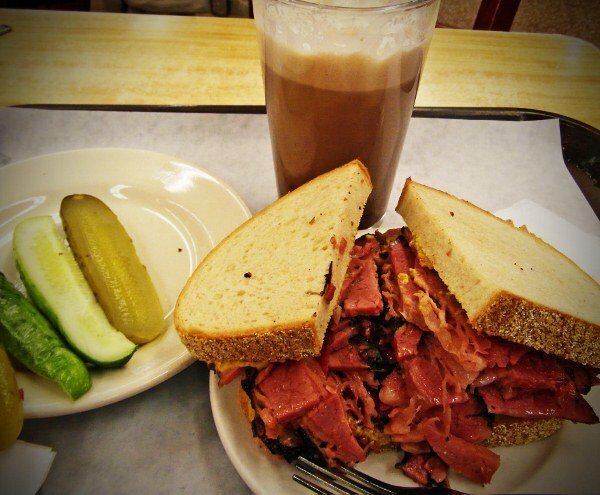 Our favorite is still the classic with pickles and an egg cream at Katz’s Deli in Lower Manhattan. It’s where Meg Ryan loved the food in a famous scene from “When Harry Met Sally,” or maybe she was just faking it. 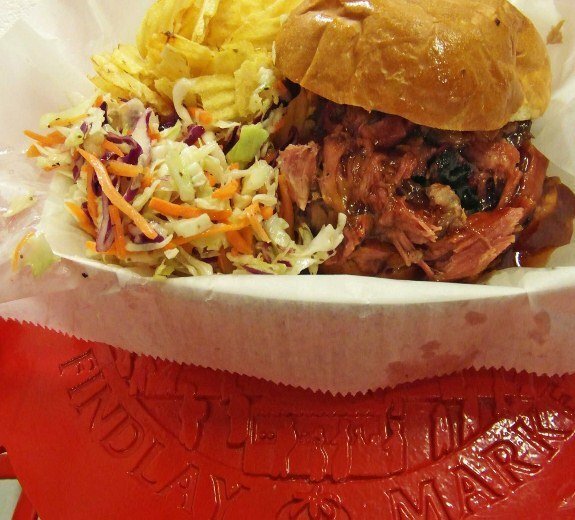 The award-winning barbecue team from Velvet Smoke plies its trade at the historic Findlay Market in Cincinnati. The pulled pork offers the right combination of tenderness, flavor and bite. 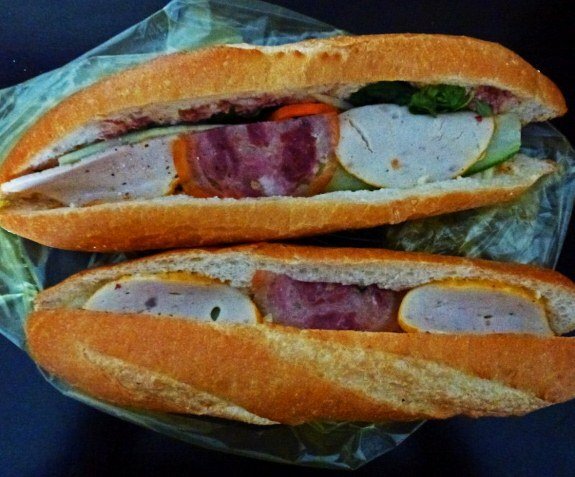 The sandwich is called banh mi but that is just Vietnamese for bread, in this case, a delicious crusty French baguette. The stuffing is typically grilled pork, perhaps compressed pig ears, liver pate, cucumber, cilantro, pickled carrots and a spread such as mayonnaise or spicy chili sauce. These bahn mi were 35 cents each, feeding us a delicious lunch for two for only 70 cents. The baguettes alone were worth more than that. Nothing like slapping on some haggis before the roasted hog. Haggis, the national food of Scotland and something they are oddly proud of, is sheep’s heart, liver and lungs, oatmeal, onion, oatmeal, suet and spices wrapped in a sheep’s stomach. Seriously. 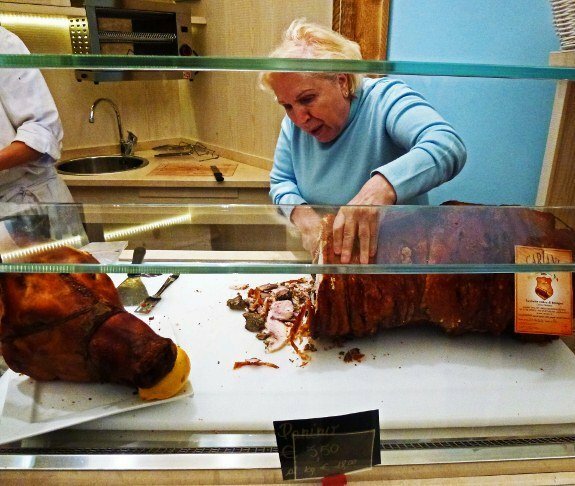 When combined with roasted hog it is pretty intense. You know your sandwich is going to be fresh when the head is staring at you. We have to admit though, it did make us feel a bit guilty. Yo, we’re from Philly so we had to include at least one cheesesteak. 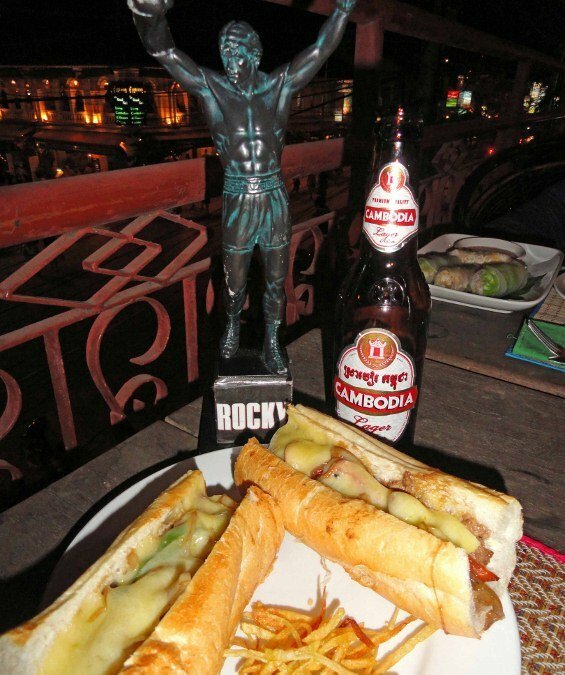 After a tiring day touring Angkor Wat, Little Rocky approved of this one at the Warehouse in Siem Reap, Cambodia. Gotta love that French baguette. 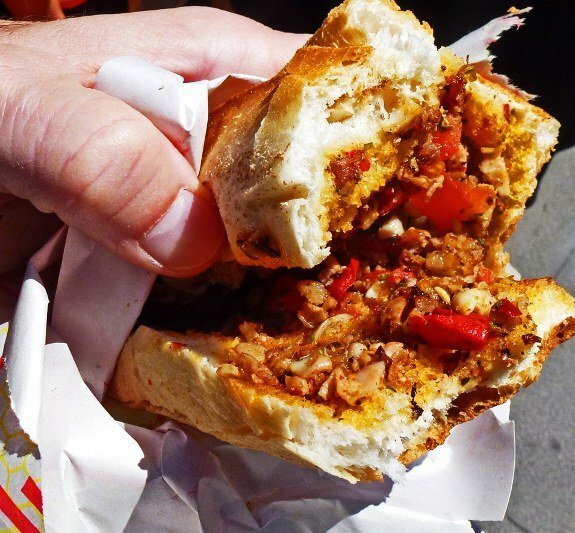 And the winner is, the kokorec sandwich in Turkey. It’s so delicious it even earned its own blog post: Damn, that’s good sheep intestine The title sort of gives away one of the main ingredients. 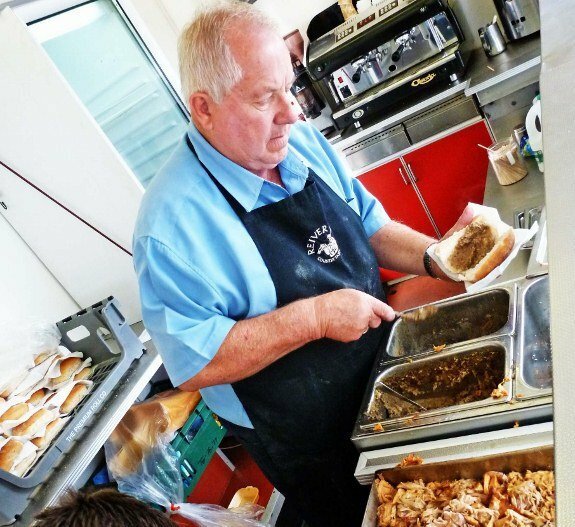 Men At Work made it famous, but the world’s worst sandwich is the Vegemite sandwich. 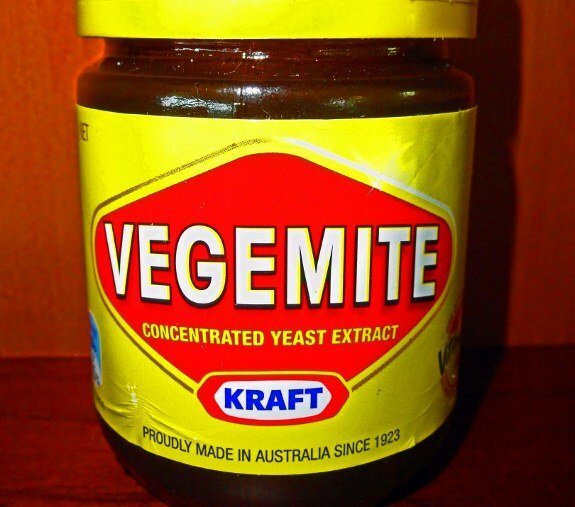 For those who haven’t tried it, Vegemite tastes like salty, fermented toe snarf. Straight from Australia’s Bush country, here’s a video of our official vegemite taste test. Watch it at your own peril. To receive tasty updates and valuable travel tips subscribe here.